Peeta can stop taking his saltpeter before his newscasts. His lustful imaginings for Claire will only be dreams now that Claire is high-tailing it to the west coast. All strange things must come to an end. The flirtatious juvenile bantering between the senior newsreader and the bubbly climatologist will now have to be carried out privately via Skype. Claire stated on air she is moving back to Vancouver to run a TV production company. 3,500 kilometres will separate the two puppy lovers. Good snoops out there should check Peter’s travel records over the next few months. He may become a frequent flyer to Vancouver. Or maybe they will meet at a discreet motel in Winnipeg, which is halfway between Vancouver and Toronto. Depending on Peeta’s libido level (he will have the final say on who is hired) it is possible that the next weather reporter on the National could be another 35-45 year old cutie pie. And Peeta could start to make playfully romantic overtures once again. In September 2012, the CBC senior management consolidated weather services, and moved Martin to CBC Toronto to work on the local supper-time and 10 PM national newscasts. Now Claire is in the same studio as Peeta. It looks like they may get off their shifts at the same time. Maybe a nightcap in a hotel room down the street from CBC world headquarters. Or possibly Peeta has a private, fully furnished suite at world headquarters, with a wet bar? Oh, the possibilities are endless! 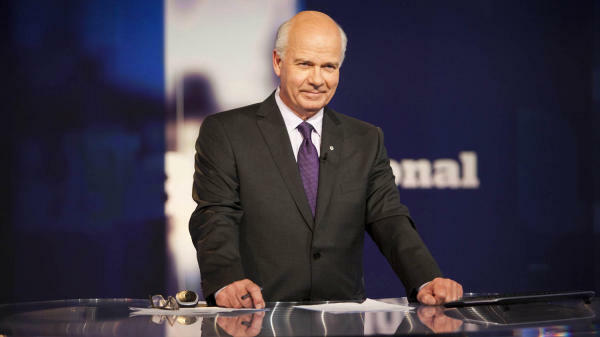 The constant on air flirtation between CBC news reader Peter Mansbridge and CBC meteorologist Claire Martin is annoying. Why don’t they just get a motel room? They could meet in Winnipeg as Claire is in Vancouver and Peter is in Toronto. 2500 miles apart. Winnipeg is dab smack in the middle of those two cities. When weather time comes on during The National newscast Peter lights up like a horny schoolboy. Then Claire comes on and is all bubbly as she acknowledges PETA. Their eyes glow and the wide smiles are hilarious. Peter is married to actress Cynthia Dale ( a former hottie in her own right) but I’m sure he would jump on Claire at the drop of a hat. If only it wasn’t for that 2500 miles. There is no information on Claire’s marital status. When Claire comes on it likely isn’t only Peter that is drooling, Chantal Hebert likely has dreams of Claire as well. This flirtatious television relationship gets in the way of Claire’s weather forecasts. The juvenile banter is exasperating. Just let us know that it is raining in Vancouver and snowing in Calgary Claire. And Peter should think about his wedding vows when the feed from Vancouver approaches. Peter likely goes home and watches clips of Claire. And I don’t want to imagine what he does to himself when he watches those clips. I think the Super 8 motel on Fermor by the East Perimeter would be the perfect thing for these two lovey doveys.